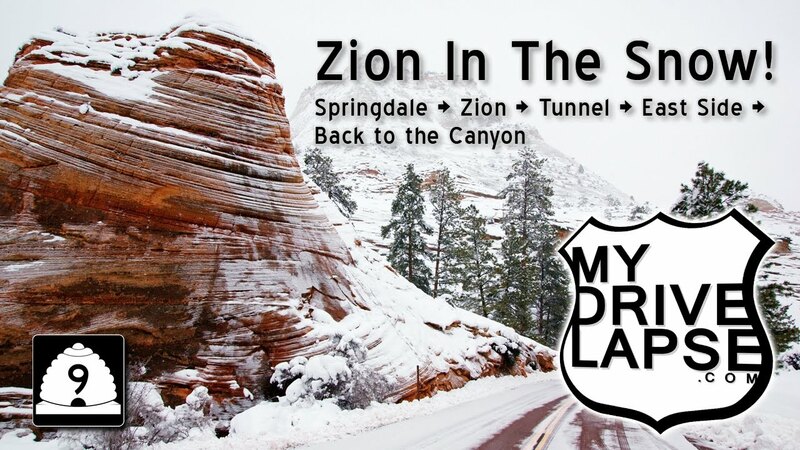 A Drive Around Zion National Park in the Snow! I was fortunate enough to visit Zion National Park during some very snowy days in late January 2017. This was my first full day in the park, and I got to see some pretty significant snowfall throughout the day — with a good bit falling on the higher-elevation east side of the park, along Utah Route 9. This drive takes you out to the end of the park on the East side, then back into the canyon. I made this trip in late January 2017. Video shot with a Brinno TLC-200 Pro time-lapse camera mounted on my roof with a homemade magnetic case. I travel with two Brinno cameras – one facing forward, the other in reverse. Sometimes the reverse camera captures better video (fewer raindrops and bugs hit the rear-view lens).